On Friday, March 21, 2014, Attorney General Eric Holder, Assistant Secretary for Civil Rights Catherine Lhamon, and Secretary Arne Duncan released the 2011-2012 Civil Rights Data Collection (CRDC) at J.O. Wilson Elementary School in Washington, DC. The CRDC is a vital resource that provides the public an opportunity to search for how our nation and individual states, districts, and schools serve all students, including our students of color, English learners, and students with disabilities. The troubling disparities these data reveal should remind us all of the importance of ensuring all students have equal access to educational opportunities. For the first time in more than a decade, the CRDC contains information on approximately 16,500 school districts, 97,000 schools, and 49 million students-shining a spotlight on educational equity in areas such as discipline, access to preschool, teacher equity, and access to college- and career-ready courses. Access to preschool is not a reality for much of the country. About 40% of public school districts do not offer preschool, and where it is available, it is mostly part-day only. Of the school districts that operate public preschool programs, barely half are available to all students within the district. Suspension of preschool children. Black students represent 18% of preschool enrollment but 42% of preschool students suspended once, and 48% of the preschool students suspended more than once. Access to courses necessary for college is inequitably distributed. Eighty-one percent of Asian-American high school students and 71% of white high school students attend high schools where the full range of math and science courses is offered (Algebra I, geometry, Algebra II, calculus, biology, chemistry, physics). However, less than half of American Indian and Native Alaskan high school students have access to the full range of math and science courses in their high school. Black students (57%), Latino students (67%), students with disabilities (63%), and English learners (65%) also have diminished access to the full range of courses. Access to school counselors. Nationwide, one in five high schools lacks a school counselor. Disparities in high school retention. Twelve percent of black students are retained in grade 9 - about double the rate that all students are retained (6%). Additionally, students with disabilities served by IDEA and English learners make up 12% and 5% of high school enrollment, respectively, but 19% and 11% of students held back or retained a year, respectively. Office of Civil Rights Assistant Secretary Catherine Lhamon’s blog on five new facts from the 2011-2012 CRDC can be found at: http://www.ed.gov/blog/2014/03/five-new-facts-from-the-civil-rights-data-collection/. Secretary Duncan's remarks can be found at http://www.ed.gov/news/speeches/new-spotlight-americas-opportunity-gaps. We continue to make significant progress on readying the GRADS 360 SPP/APR module and appreciate your participation in the feedback sessions. More than 300 people representing SEAs, Lead Agencies, TA providers, and OSEP participated in the sessions. We incorporated the feedback into the requirements and the developers began their work on March 31. We are excited to announce that GRADS 360 will be much more than the SPP/APR reporting tool. In the upcoming weeks, we will roll out the OSEP site on Communities 360. This site will replace The Right IDEA and will offer space for collaboration, both public and password protected, in addition to serving as a one-stop resource for IDEA and OSEP materials. Stay tuned for an invitation for our Communities 360 open house. Letter to Breton (March 21, 2014) discusses using electronic mail (email) to provide parents with their child’s individualized education programs (IEPs) and related documentation, such as progress reports. Letter to Chief State School Officers (March 13, 2014) clarifies requirements in the Consolidated Appropriations Act, 2014 related to local maintenance of effort under Part B of IDEA. Request for Information on the Use of Results Data in Making Determinations Under Sections 616(d)(2) and 642 of the Individuals With Disabilities Education Act. The U.S. Department of Education (Department) is requesting stakeholder input on how best to use results data (e.g., performance on assessments, graduation rates, and early childhood outcomes) in its accountability system under the IDEA. We believe that the Department must provide greater support to States’ efforts to improve results for infants, toddlers, children and youth with disabilities (children with disabilities). We need to ensure that States focus not only on complying with provisions of the law, but also on improving results for children with disabilities. Responses must be received by April 25, 2014. For questions contact Larry Ringer, 202-245-7496. In accordance with the Paperwork Reduction Act of 1995 (44 U.S.C. chapter 3501 et seq. ), The Department is proposing a revision of an existing information collection.The Department is especially interested in public comment addressing the following issues: (1) Is this collection necessary to the proper functions of the Department; (2) will this information be processed and used in a timely manner; (3) is the estimate of burden accurate; (4) how might the Department enhance the quality, utility, and clarity of the information to be collected; and (5) how might the Department minimize the burden of this collection on the respondents, including through the use of information technology. Responses must be received by April 24, 2014. For questions contact Rebecca Walawender, 202-245-7399. NIA published March 24, 2014. Applications must be received by May 23, 2014. For questions contact Carmen Sanchez, 202-245-6595. On March 10, 2014, Jim Wendorf of the National Center for Learning Disabilities, discussed the $100 million in President's FY 2015 budget to be used for RDA grants to states on CSPAN. See the video here. His video includes a discussion of the RDA grants, civil rights for students with disabilities, special education in the U.S public school system and federal funding for special education. On March 27, 2014, the Departments of Education and Health and Human Services launched Birth to 5: Watch Me Thrive!, a collaborative effort among federal partners to encourage developmental and behavioral screening for children and support for the families and providers who care for them. By raising awareness of child development, the initiative will help families look for and celebrate milestones, promote universal screenings, identify delays as early as possible, and enhance support needed to help children succeed in school and thrive alongside their peers. This initiative brings the early childhood world - practitioners in early care and education, primary health care, early intervention, child welfare, and mental health - together with families to encourage early screening for children. These preliminary screenings check for developmental progress or delays. If a screening result shows risk, families and providers may pursue more in-depth evaluations regarding developmental issues, such as language or motor delays or developmental disabilities like autism or cerebral palsy. 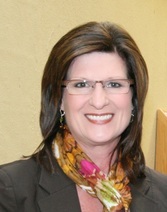 On April 9, 2014, OSEP Director, Melody Musgrove presented Danielle Kovach, a 3rd-grade special education teacher at Tulsa Trail Elementary School, with the 2014 Clarissa Hug Teacher of the Year Award from The Council for Exceptional Children (CEC). The Clarissa Hug Teacher of the Year Award recognizes an outstanding teacher of children with disabilities and/or gifts and talents. The award honors a CEC member whose work reflects significant educational success for students, continued professional development, and the highest standard of educational quality. Kovach, who was also named the 2011 New Jersey Teacher of the Year, has been a special education teacher at Tulsa Trail Elementary School since 1997. She is a lifelong learner, having earned two master’s degrees, including one in educational technology, and she regularly attends workshops and webinars to stay current on the latest research to guide her instructional strategies. Her students benefit from her dedication, nominators say, because while Kovach doesn't expect perfection, she promotes success. Using a multisensory approach to learning, combined with technology and innovative teaching methods, Kovach facilitates her students’ success to find what works best for each individual student. A believer in hands-on learning for her students, Kovach does not let budget cutbacks affect her students’ instruction and she has earned some $80,000 in grants for her class and school that have been used for a classroom cooking project, a school store, participation in science fairs and access to technology. "Educating students with disabilities isn't just an education issue. It's a social justice issue." A recent report by the Centers for Disease Control and Prevention (CDC) estimates that 1 in 68 children in the United States has been identified with ASD. This latest estimate makes it clear that autism affects the lives of millions of Americans – our friends, neighbors, colleagues and family members. Katy Muldoon highlighted 9 additional facts deriven from the report in her April 2, 2014 article titled, "10 facts about autism spectrum disorder: April is Autism Awareness Month." The ARC highlights The Autism NOW Center, to weed through the volumes of information and provide high-quality, vetted resources and information to people with autism and other developmental disabilities, their families, friends, colleagues, teachers, employers and others. They also have created an informational video about The Autism NOW Center. Time Magazine featured an article, The Best Long Reads on Autism, that includes a list of journalism pieces that serve to increase awareness nationwide, including Reaching My Autistic Son Through Disney, Catch Me If You Can, Navigating Love and Autism, and Autism’s First Child. Please feel free to explore the information and share with individuals and organizations throughout your State. The CEEDAR Center is a national technical assistance center dedicated to support states in their efforts to develop teachers and leaders who can successfully prepare students with disabilities to achieve college and career ready standards. The CEEDAR Center is designed to help states, Institutions of Higher Education, and Local Education Agencies create aligned professional learning systems that provide teachers and leaders effective opportunities to learn how to improve core and specialized instruction in inclusive settings that enable students with disabilities to achieve college and career ready standards. Reform teacher and leader preparation and induction to incorporate evidence-based strategies for educating students with disabilities, effective adult learner pedagogy, and effective strategies for promoting organizational change. Refine personnel evaluation systems for the purpose of revising preparation programs and induction supports in local schools to determine if leaders and teachers are serving students with disabilities effectively in inclusive and intervention environments. Revise licensing standards to align with reforms in teacher and leader preparation designed to improve the education of students with disabilities in inclusive environments. Foster an aligned and coherent professional learning system by working with stakeholders in SEAs, IHEs, alternative preparers of teachers and leaders, and LEAs to leverage existing capacity and resources to create efficiencies, avoid duplication of effort, scale up evidence-based practices, and ensure that licensing standards, preparation programs, and personnel evaluation systems are aligned. OSEP Director, Melody Musgrove participated in the CSAVR Spring Conference on April 9, 2014 in Washington, DC. CSAVR represents the State Directors of the Vocational Rehabilitation Services Programs in the states, the territories and the District of Columbia. May 4-7, 2013 in Lake Buena Vista, FL, OSEP Director Melody Musgrove will attend LRP's National Institute on Legal Issues of Educating Individuals with Disabilities. This conference brings together experts in special education to help stakeholders understand and implement the IDEA, prepare for legal challenges and carry out responsibilities surrounding special education issues such as IEPs, discipline and common core standards. OSEP Division Director Gregg Corr, Associate Division Director Marlene Simon-Burroughs and Project Officers Selete Avoke and David Guardino will attend the Secondary Transition Planning Institute, May 12-14, 2014 in Charlotte, North Carolina.